How long is a typical homeschool day and how does it compare with the hours of a day in public school? Many parents, new to homeschooling, wrongly assume that they should homeschool for the same length of time as their public school counterparts. 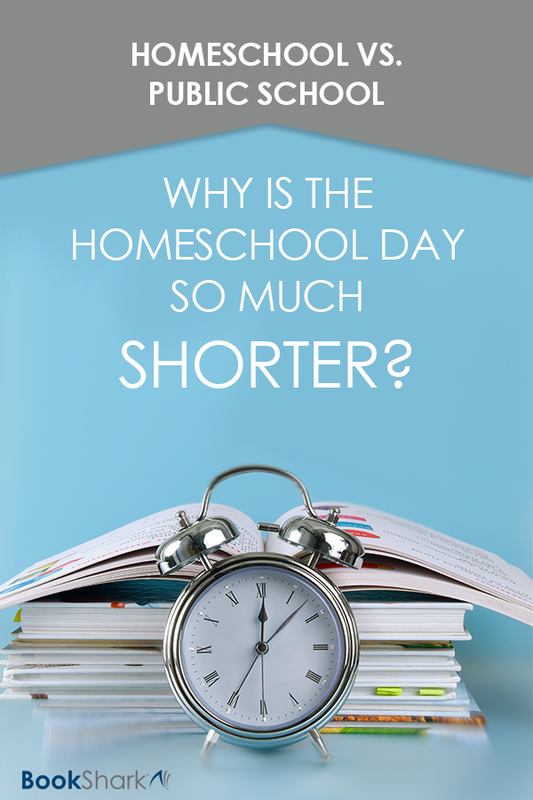 In general, a homeschool day is much shorter than that of a traditional school. But this shorter school day doesn't mean that less is getting done. In fact, homeschoolers can often achieve more in less time than public school students. This truth is how BookShark can offer a robust and challenging homeschool curriculum that takes only four days a week. In the homeschool setting, you simply don't require as much time. Is There an Average Homeschool Day? Some homeschoolers tout the expression “done by noon” as one of the benefits of homeschooling. This may or may not be the case for your own homeschool depending on the number of children in your family, outside activities, your natural pace, and how old your children are. The beauty of homeschooling is that you can cater it—your routine, your curriculum, and your methods—to the unique needs of your kids and your family! Homeschool moms have the advantage of being in nearly full control of their homeschool schedule. Not morning people? Then you might not start your homeschool day until afternoon. Diligent early birds with young children, on the other hand, might have their work complete before brunch. Other families may like to take long breaks in between each subject, taking all day to complete their work but in an enjoyable and leisurely fashion. 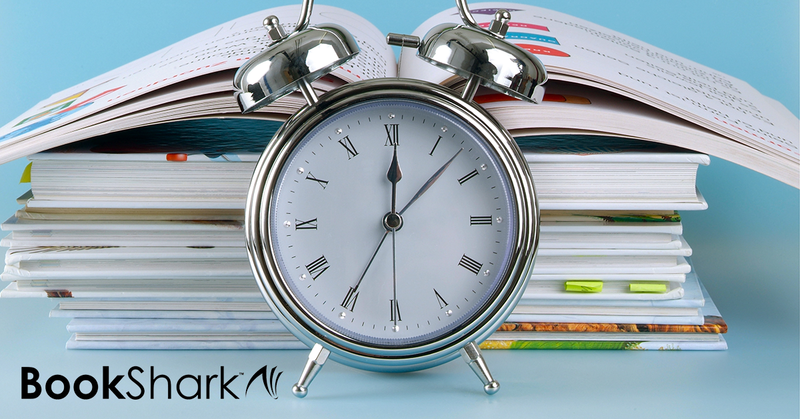 Typically, students in elementary grades get their work completed in a fairly quick amount of time, often hitting that "done by noon" standard if they started the day early. Of course, the workload increases as children mature. So a middle schooler or high schooler will need to spend more hours on school work. Outside activities such as co-ops, field trips, doctor appointments, therapy and library visits can interrupt and lengthen your homeschool day, too. In short, the average homeschool day varies greatly from family to family. But it is typically much shorter than the school day of a traditional classroom. All these requirements cause teachers to lose important teaching time. Homeschoolers may have many these issues to contend with as well, but they are equipped to handle them much more quickly and efficiently because of the drastically lower student to teacher ratio. As you become a more experienced homeschooler, you will gain a sense of the right amount of time for your school day. Remember your day will still be shorter than a typical public school day. And that's one of the big perks of homeschooling! Enjoy it! The flexibility of homeschooling allows you to cater the learning experience to your child’s unique needs and interests without the loss of teaching time. That means more time for the extras you love! 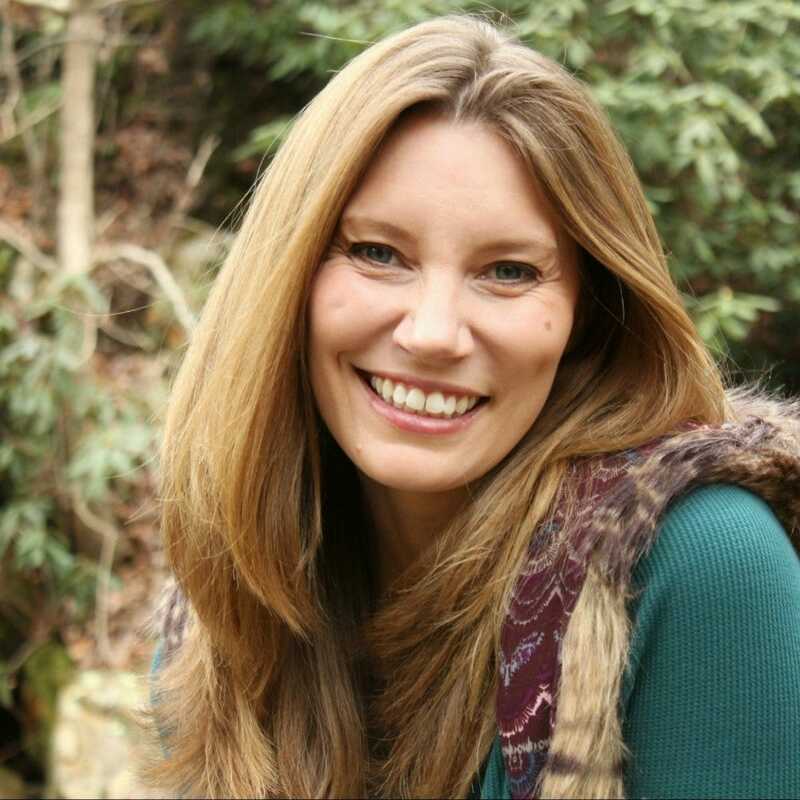 I'm Erin, an introverted homeschooling mom to two intense extroverted kids. We are child led with a heavy emphasis on read alouds, games, art, nature hikes, and hands-on everything! My kids just learn better when they can use their hands. You can find me at Nourishing My Scholar. We traded the hustle and bustle of city life for the quiet that only farm life can provide. This creates a wonderful environment for our children, complete with chickens, goats, ducks, and cows. I'm a huge fan of Harry Potter and Gilmore Girls. When we're not homeschooling, you'll find me curled up with a cup of coffee and a good book or possibly enjoying a random dance party in the front yard to the newest Disney soundtrack.